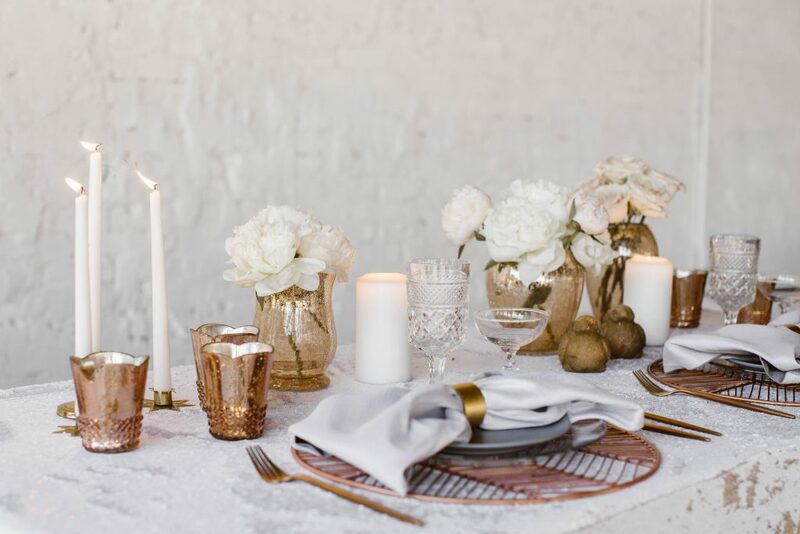 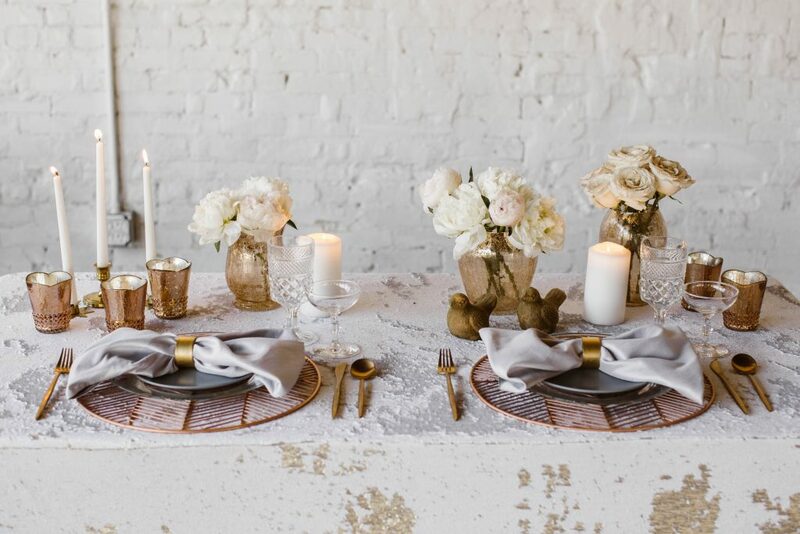 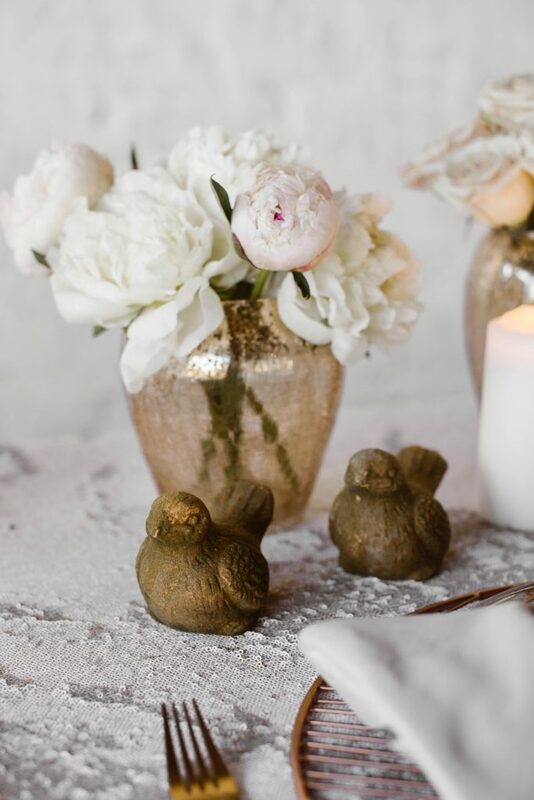 Dove gray details and a shimmering rose gold shine gave a modern and glamorous twist for our 2 Turtle Doves theme in our 12 Days of Christmas Tabletops series captured by Jenna Nicole Photography. 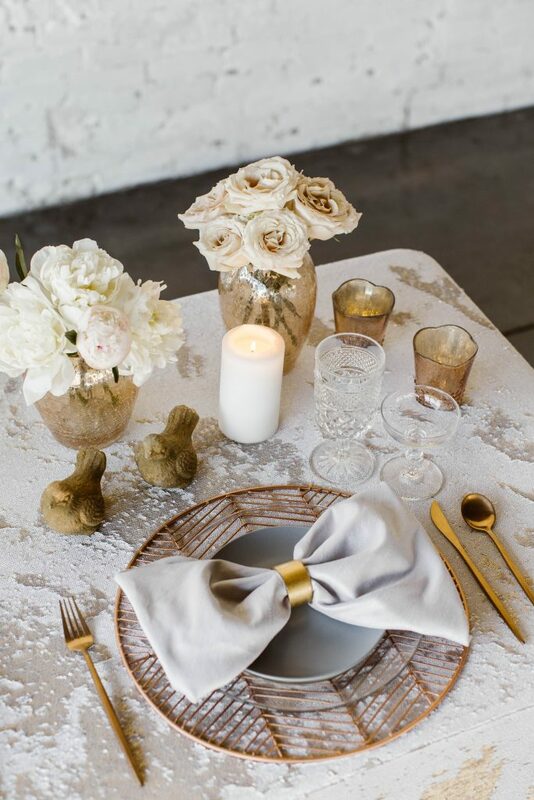 A sparkling sequined linen from Nuage Designs, Inc. glittered white in one direction and gold in another, which created the perfect foundation for this tabletop style. 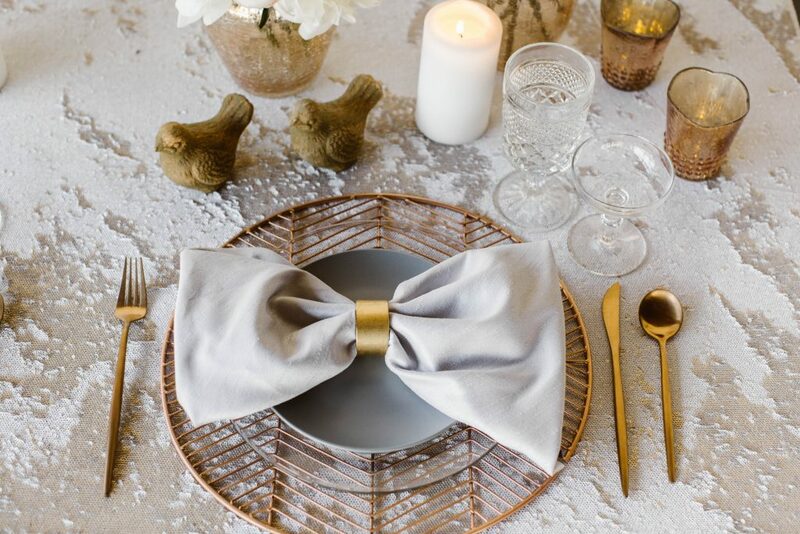 A simple and modern setting with gray “bow” napkins layered on gray stoneware and clear glass plates gave a peek at the modern rose gold wire chargers that added a pretty pop to the table. 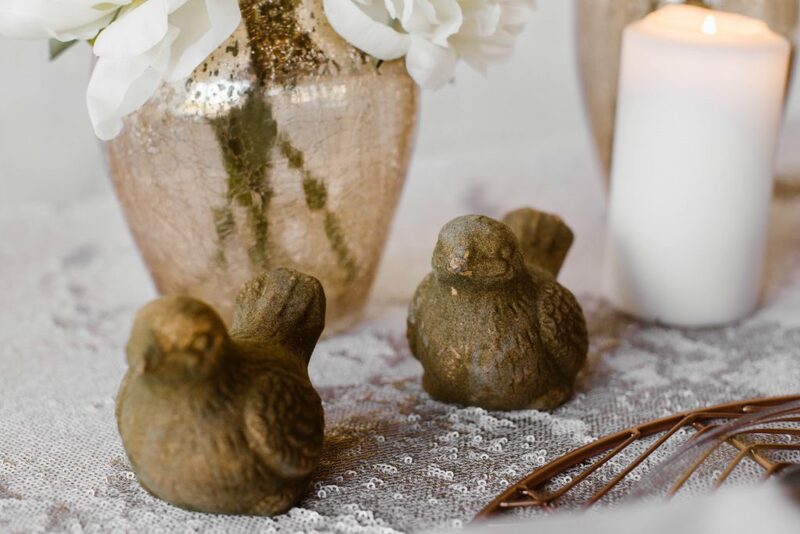 A pair of bird figurines added one more simple touch that brought this Turtle Dove theme to life. 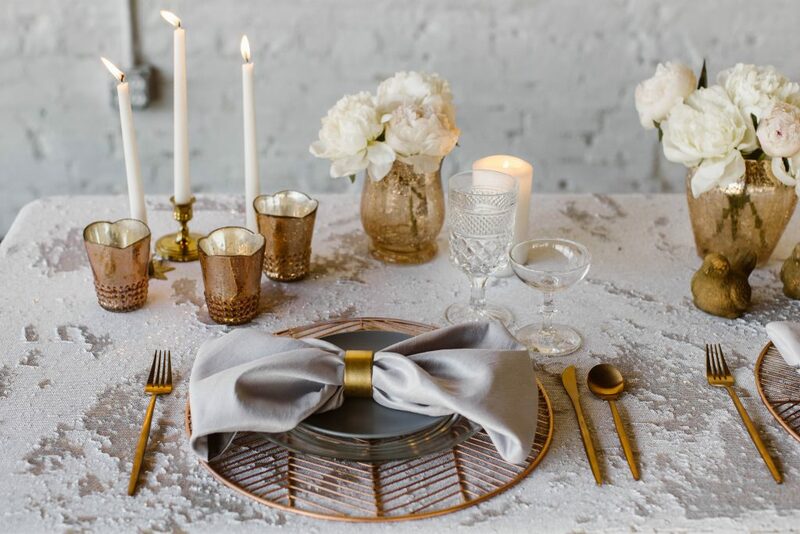 We love hearing more about the design decisions when creating wedding styles, so make sure you catch the vision behind this look created by Ashton Events and Treasury Rentals. 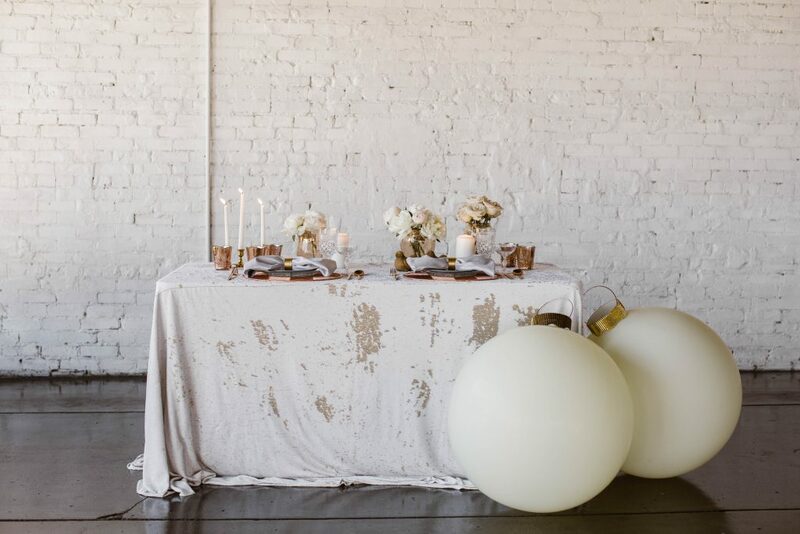 As featured in the Every Last Detail Blog.